Producer, songwriter and engineer Anu Sun is affectionately known industry-wide as “Anu The Giant,” but his physical stature only compliments his tremendous place in the music game. Aside from a staple in New York City’s live music scene, his recent credits include work on the Grammy Award winning motion picture soundtrack Miles Ahead and production partner Robert Glasper’s Grammy nominated Black Radio 2. Anu has also worked intimately with jazz and R&B staples like Bilal, Ledisi, Laura Mvula and more, assisting in their meteoric rise. On top of that, the Las Vegas native has credits with legends like Johnny Cash and Miles Davis. Now, however, is the distinct moment that Anu steps out with his first project in 8 years, a move that is certain to place him with his peers as a more prominent, provocative renaissance musician. Anu is set to release Sanguine Regum his upcoming, genre-merging album that seamlessly melds Hip-Hop, Rock, R&B and Jazz into a single composition. Anu says - after supporting so many for so long - this is his moment. “Its progressive adult contemporary - the maturation of Hip-Hop and jazz. “If we are making honest Hip-Hop for our generation, then I think this is where we should be,” he says. “Its like the Jazz samples used classic 90’s but with real musicians actually playing.” The album, which has taken 3 years to craft, occupies a unique space in today’s landscape. 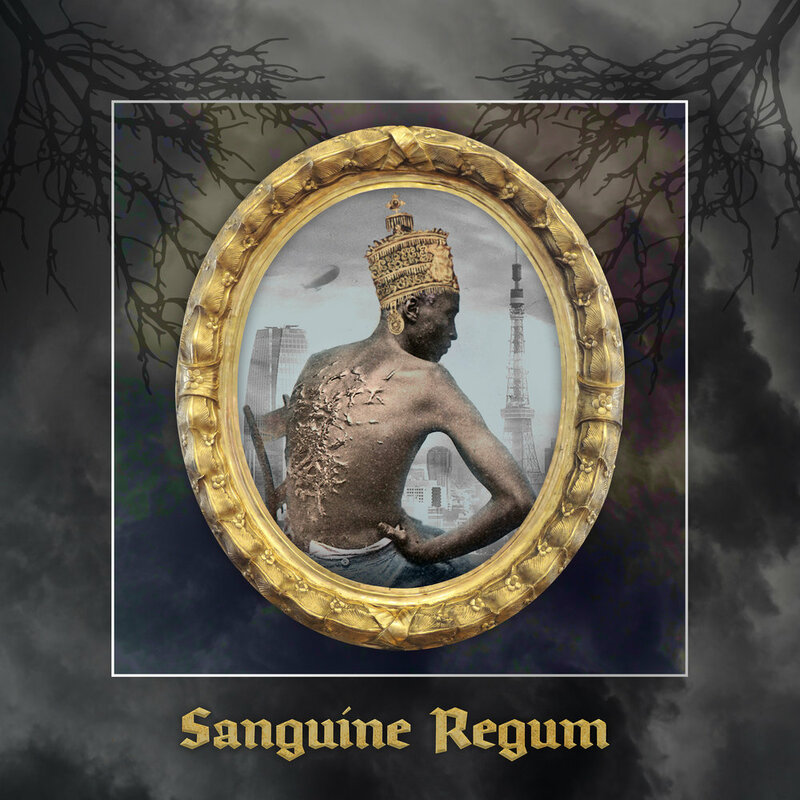 Beyond the audio, Sanguine Regum has a distinct socio-political slant that is largely absent in modern scene. On “KAEPtain America,” Anu addresses the present quandary with America and controversial football star-turned activist Colin Kaepernick. “Why must you hate and degrade us / Try all you want, you can’t wreck us,” Anu raps with conviction. “No Sun” offers a melodic, inspirational sonic backdrop - chock-full of live flutes and trumpets - as Anu speaks about the human condition of people of color. “I have the messages of legends like Public Enemy and the Tribe Called Quest mixed in with the music,” he boasts. But, Sanguine Regum isn’t just weighty themes. Anu Sun rejoins with friend Robert Glasper and reconstructs the Jodeci’s classic “Feenin” with country music duo The Van Lears. A resident of Harlem, Anu’s vast talents were groomed in a family flush with music, culture and fashion. And the roots run deep, as his godfather is legendary Jazz vibraphonist/drummer Lionel Hampton and Maria McDonald, the famed Black supermodel, is his aunt. “They are in the DNA,” he says proudly. The rich upbringing engrained Anu with a sense of community that he puts into practice. Anu’s sanctuary is reinforced by the relationship with his label, Ropeadope Records, a company perfectly suited for Sanguine Regum. When asked about his forthcoming release, Anu stated that he’s not an artist who releases music for the sake of releasing music, there was a very distinct purpose and need for Sanguine Regum (a title which means “blood of kings” in Latin). I had a message to deliver, a perspective to convey, a sore I wanted to rip the scab off of. Our story is one of tenacity, a regal story that spans far beyond the slave experience and the target that’s been placed upon our foreheads.“Anu Sun’s “Sanguine Regum” is the perfect coronation and tale of an enduring people.